The T4300A represents the next step in transmitter technology. New key pad overlay with built in LEDÃƒÂ¢€Ã¢â€žÂ¢s offer a longer life and better water resistance than regular push buttons. 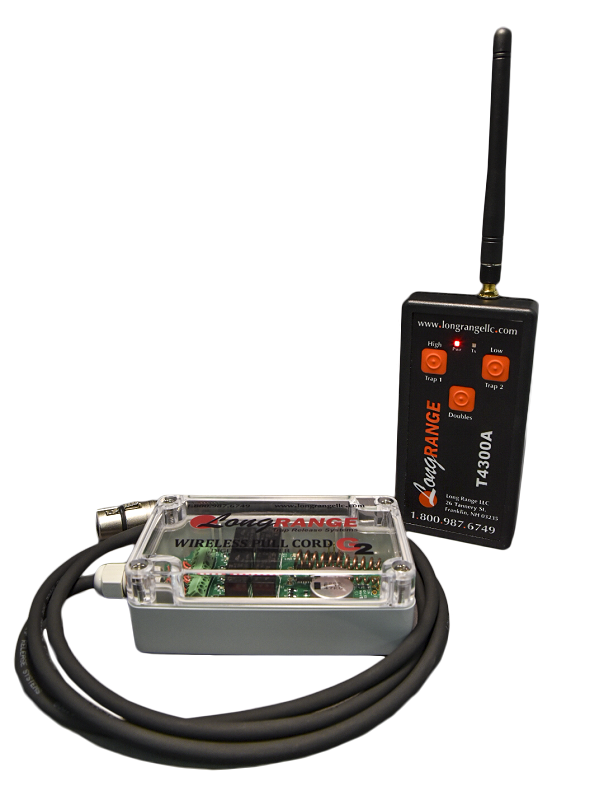 Can operate two R4300 receivers (sold separately below) to give singles, report or true pairs. By using the 127 available field/channel settings the R4300 can be used on adjacent stations with no interference. With no ON/OFF switch, the T4300 has instant "ON" and transmit, saving battery power. The T4300A operates on a single 9 volt battery and has an operating distance in excess of 400 yards.